We are seeking an incumbent who will support our growing church family. 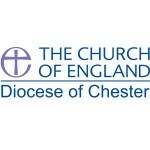 Applications should by preference be made to the Bishop of Birkenhead using the diocesan application form, by 8 May 2019. Details of the post can be found on the diocesan website here including our diocesan application form. St John’s is an open evangelical church, which has equality, diversity and inclusivity at its heart, striving to live as Christlike a life as possible. We are seeking an incumbent who will support our growing church family. Our parish is fully supportive of women’s ministry. Focused on God, continuing to grow in their own faith and be passionate about helping others to grow and deepen theirs. Live their life by God’s word and encourage others to do so too. Able to lead and support our successful lay ministry, serving the parish as well as the congregation. Organised and self-motivated yet able to encourage others in the use of their talents. Able to delegate and manage. A good communicator and an effective listener. Open to new views but recognise where tradition is important. Proactive throughout the village community bringing God’s message to all. Committed, available, accessible and approachable. Sociable, warm and friendly, showing kindness to all. Known throughout the community, identifying with and caring for all ages through whatever life brings. Have empathy for all age groups and stages of life and nurture a family church. Maintain a variety of services with relevance to today’s society and to our congregations. Support and encourage us in developing our understanding of the Bible and its relevance in our lives. The diocesan bishop is Peter Forster. He is supported by two suffragan bishops: the Bishop of Birkenhead is Keith Sinclair and the position of Bishop of Stockport is currently vacant.